Sign up for our newsletters, or manage your current newsletter subscriptions below. 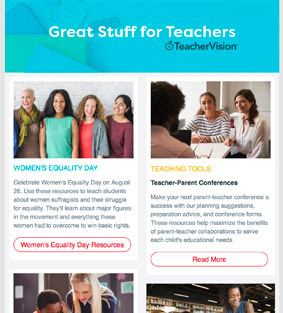 Please add hello@teachervision.com to your address book to ensure our emails reach your inbox. Timely and seasonal content tie-ins, including printables, lessons, and holiday activities. 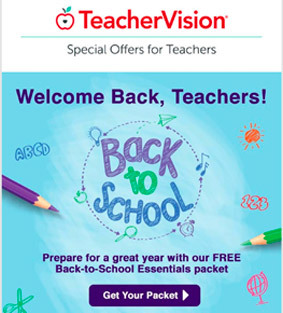 Free content for the classroom alongside exclusive educational deals. 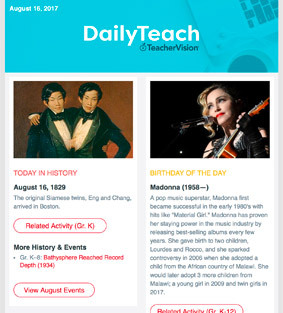 Daily warm-ups, teaching tips, edugames, Day in History, Today's Birthday, and more sent each weekday.